"A SAD DEATH. Grandmother Hood Laid to Rest Beside Her Son. "On the evening of the 12th of December, Sister S. E. Hood breathed her last on earth and passed up to her eternal reward through the mertis of her blessed Lord and Savior. Her sufferings were brief, lasting but a few days. She anticipated her death. Talking with her friends before her late illness, she said that she did not expect to remain with us much longer; that she was not afraid of the transition, but lingered with the children and grandchildren, with pleasure, in the hope that she might be of some use to them. wished, she was laid to rest by the side of her son December 14, 1897. "Sister Hood was a daughter of Wm. Miller, and was born in the State of Georgia, July 31, 1837. "Her family removed from Georgia to Alabama about the year 1847. She professed a hope in Christ in her girlhood, and joiend the Baptist church, being baptrized by Rev. James Foreman. "She was married to Wm. 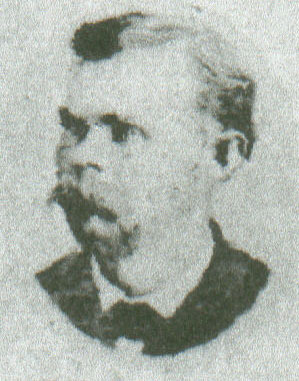 Riley Hood, February 19, 1855. Her children are Mrs. Allen Dean, Col. Wm. Hood, now deceased, J. L. Hood, now in Texas, and Mrs. Zera Manning. All of the living chidlren, except J. L. Hood, were present at her funeral. Her sister, Mrs. Peak, of Locust Grove, Ga., was also present.